If you are bored of the typical Marvel Universe of RPGs, you may want to try playing a game with an altered universe. 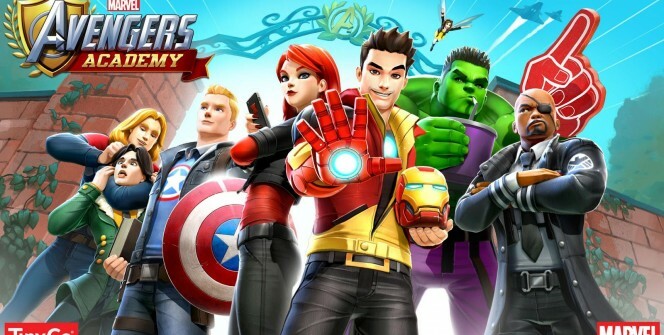 Look no further than MARVEL Avengers Academy if you want to enjoy a unique twist in a Marvel Universe-based game. The Tinyco’s mobile game is available for iOS and Android devices, but can also be played on a PC. The characters in MARVEL Avengers Academy are actually students who are learning how to develop their abilities and superpowers. The game’s mechanics are based on time management. Your usual Marvel dialogue is available as well as spiced up graphics. 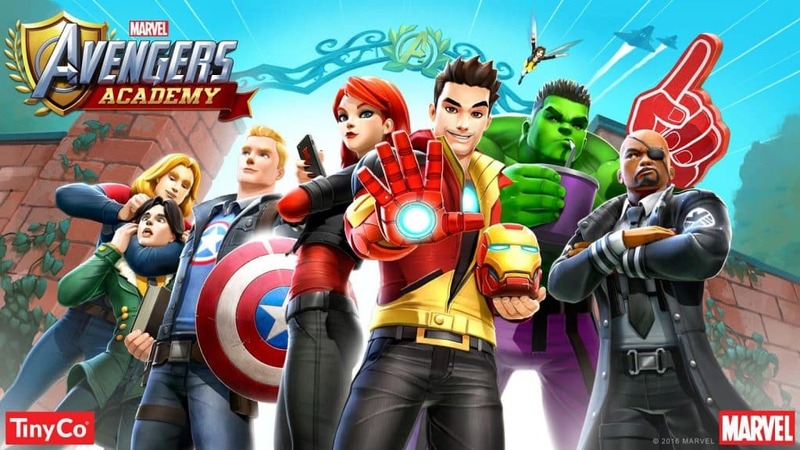 If you are trying to get better at MARVEL Avengers Academy for PC, here are some tips and tricks to help you understand how to play the game and improve your gaming experience. 1. Understand the types of quests. MARVEL Avengers Academy comes with two types of quests: blue and red. The blue quests involve pushing forward and accomplishing more missions. On the other hand, red quests are useful in earning you coins and collecting other valuable items. The quests may come intertwined, something which can make it difficult for you to choose the right ones. If you can’t make quick choices, it is advisable to go for the blue quests. 2. Know how to work on the quests. Check details of quests, including their requirements, to understand how to use them. Check for the time needed to complete a particular quest and choose an appropriate number of characters to carry out the task. Ensure you deal with faster quests first and plan to work on the slower ones later. You can complete the slower quests before bedtime or any other time that you want to take things slow. Just make good schedules for all quests and you will definitely enjoy the game from start to end. 3. Use shards to complete quests. A shard is the premium currency of MARVEL Avengers Academy for desktop. If completing quests or missions becomes slow or challenging, you can use shards to speed up things or get extra strength. The game is very efficient in using money: you will always use fewer shards to speed up quests. 4. Carry out the upgrade process when necessary. The upgrade job requires money and other valuables. You don’t want to waste your resources doing upgrades that will not help you level up or achieve milestones. It is advisable to do the upgrade job when you want to unlock new character and buildings. The upgrade process in slow in MARVEL Avengers Academy, so you may not want to waste your time doing it. It is wise to spend most of your time planning for your next moves, getting the right items and accomplishing missions. 5. Keep your avengers busy. 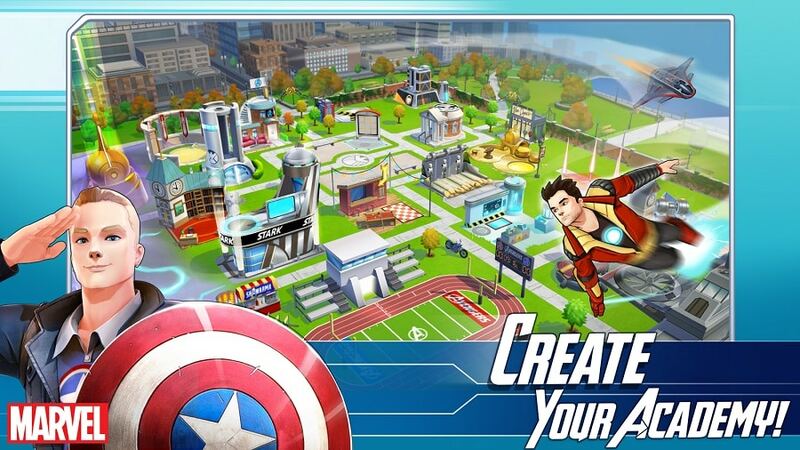 MARVEL Avengers Academy is a pretty new game which means there is not too much to do in it. If you run short of things to do in this game, just keep your avengers busy with quest-related activities. You can also explore story quests which are better handled one at a time. Warning: MARVEL Avengers Academy servers shutted down and it’s removed from iOS and Google Android Stores! Sometimes when playing MARVEL Avengers Academy , bluestacks ask you fee to pay but gives you option to download some apps. Every time it asks you just select “Install apps” and continue using it free. I hope you enjoyed this guide, please rate and share. If you have problems running MARVEL Avengers Academy on desktop or any other issues, leave a comment below.